Just a Minute! - the App for iOS devices! <- New! Born in 1949, Malcolm began playing the oboe in 1964 at Bryanston School. Quite soon after that, he decided to become a musician, and not a doctor after all. He ran a series of chamber music concerts every Wednesday evening without exception at school, and took part in many concerts around Dorset. In 1967, he won a scholarship to the Paris Conservatoire of Music, where he studied with Pierre Pierlôt. When Pierlôt left the Conservatoire, Messiter returned to the Royal College of Music in London to continue his studies with Sydney Sutcliffe. There he won the Joy Boughton prize, the Grade 5 prize, the R.A.O.S. medal and a Performers' A.R.C.M. with Honours. Malcolm was appointed principal oboe in the BBC Concert Orchestra at the age of only 22. After 5 years, he left to become principal oboe in the London Mozart Players. He was a joint-winner of the 1978 Leeds International Musicians' Platform. As the number of solo engagements escalated, Malcolm had to reduce his orchestral playing. As soloist, Malcolm has recorded for BMG, RCA, Deutsche Grammophon, ASV, Hyperion, Arte Nova Classics and the BBC as well as a great many British and foreign radio and TV stations. 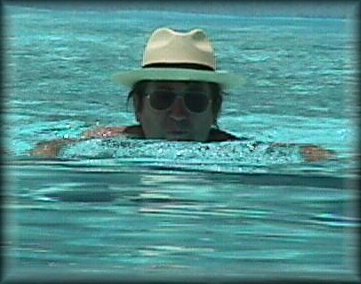 He is the oboe in Mike Oldfield’s “Tubular Bells”, and for many years played with the Amadeus Quartet all over Europe. He was the oboe soloist on the theme to BBC TV’s “The Secret Garden”, as well as a regular performer on radio and television world-wide. Lionel Markson, reviewing for Records & Recording stated.... an astounding display of virtuosity such as I have never heard before from an oboist. Bewildering velocity of fingers and tongue, phenomenal breath control, harmonics and the upward extension of the oboe's range a fourth beyond its 'highest note', F in altissimo, are allied to rhythmic vivacity and exuberant showmanship. Yet, we hear ravishing tone and a musician's sensibility. 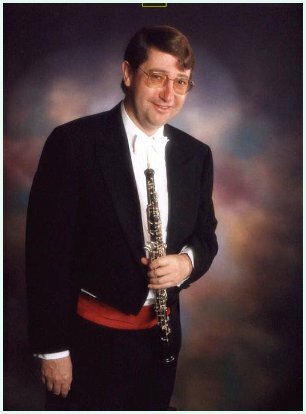 After my first encounter with the British oboist Malcolm Messiter I can best describe him as the ‘Heifetz of the oboe’. Messiter has played as soloist in more than 55 countries, and is also a busy arranger of music for chamber groups, and for orchestras including the BBC Concert Orchestra, The English Chamber Orchestra, the Radio Orchestra of Cologne and the London Festival Orchestra. At the moment Malcolm is working on a new edition of all six Zelenka trio sonatas, and has recently applied for a Patent for his invention of a device to clean the air of all particulate pollutants using an unprecedented method. Auto-focus spectacles are also now under development. During the 1980s, Malcolm wrote, for fun, an MS-DOS communications software application in 8086 assembler called “Trans-Send” which for a decade or so was bundled with most modems sold in Europe, in 14 languages. Malcolm currently plays principal oboe with the London Festival Orchestra, The English Classical Players, the Thames Chamber Orchestra, among others. At the end of May this year he will tour South America for several weeks with the London Festival Orchestra. Malcolm is featured as concerto soloist in every concert. For relaxation, Malcolm enjoys flying aerobatic radio controlled model helicopters in national competitions, and for the taking of aerial photographs.